Household odours are best tackled by removing them at the source. Many can be dealt with using only household products. Removing problem odours and their causes is always better than covering them up with aerosols and sprays, which mostly just conceal the symptoms. Soak many smells up with baking soda. An open container of baking soda gives the air a very neutral smell. If you suspect there are contaminated surfaces causing the bad odours then mix the baking soda with white vinegar and use is as a cleaning spray. Lemons also absorb smells. Leave a few cut lemons in problem areas; the smell isn’t neutral like baking soda, but mild lemon scent is quite pleasant to many. It is possible to use harsh chemicals like bleach to get rid of many persistent odours on hard surfaces, but they smell of these chemicals is quite harsh in its own right. An effective yet gentle alternative is diluted alcohol. The mild smell of alcohol fades quickly, especially if there are lemons or baking soda to soak it up. 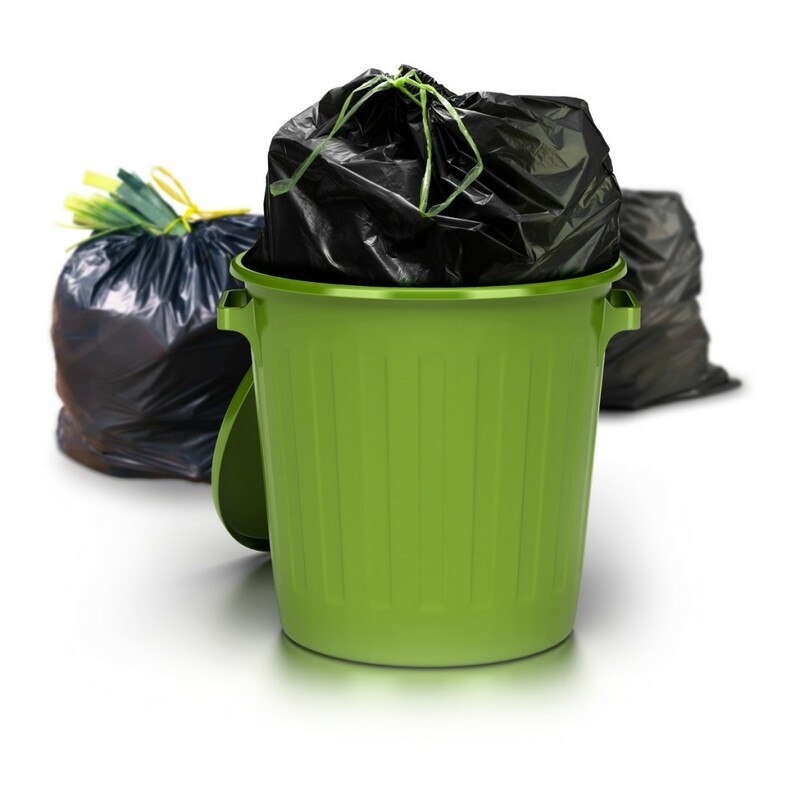 Regular emptying of trash will reduce accumulating odours. But if the problem persists try putting baking soda at the base of the bin. If there is a problem with accumulating liquid, old newspapers will help soak this up. Mix the newspapers with baking soda to soak up the smell and the liquids. Kitty litter is designed to soak up odours and unsanitary liquids. Putting kitty litter at the base of the bin will prevent many issues here. Replace every few weeks, or when needed. Air filters do not remove the source of the problem, but they are very effective at cleaning the air. They can make a huge difference for those with Hay fever or allergies. Technologies vary, but negative ion generators, carbon filters and many other devices are all useful. Just avoid Ozone generators, unless you intend to vacate the house during use. Indoor plants are great for cleaning odours. The right plants can also look quite pleasing.